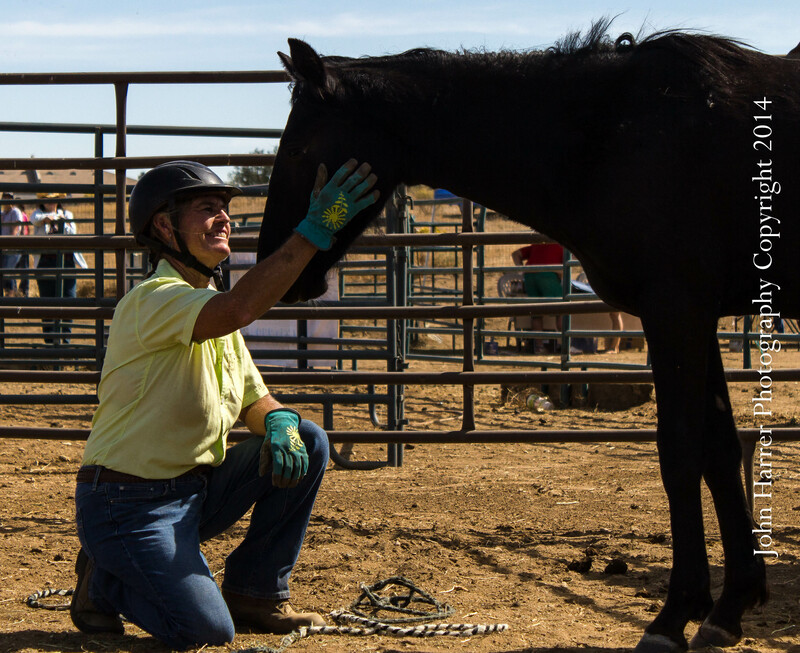 The Whoa Podcast about Horses and Horsemanship was invited to spend an afternoon at the Ojai Valley Cowboy School. Jeff and Jay Ohaco, Vaquero Boone Campbell and Laura Fullilove have created a unique environment to spread the cowboy lifestyle. The cowboy school is set up to cater to the needs of their students. If there is a particular topic you need help with, say roping, they can tutor you on that. If you want to explore your inner chuckwagon chef, the group is set up to demonstrate the intricacies of Dutch Oven cooking. Need to know how to set up a tepee? Pack a bedroll? Or, maybe you need help knowing when and how to use your spurs. This group can help. When you spend three days with five trainers, two cameras, and an audio recorder you come home with a ton of material. This I’ve collated into the Vaquero Heritage Video. First, I need to get this out of the way. The event benefited the Wild Horses of Oak Creek and there were many opportunities to donate. There was a silent auction that had a lot of nice things. Talulah Catahoulas was donating a puppy from a recent litter. I had just seen a photo of these fascinating dogs on the Friends of Weatherford Shelter Pets Facebook page. After spending some time talking to the breeder, I thought this would make a great addition to our household. Our 13 year old Aussie past away last July and we had room at the Inn. I place my bid a couple of times and the only thing more challenging than coming home with three days of media to edit, is to try and do it with an eight week old pup. Well, I survived. More importantly, so did he. His name is Buster and he is growing like a weed. Back to the Vaquero Heritage Video. 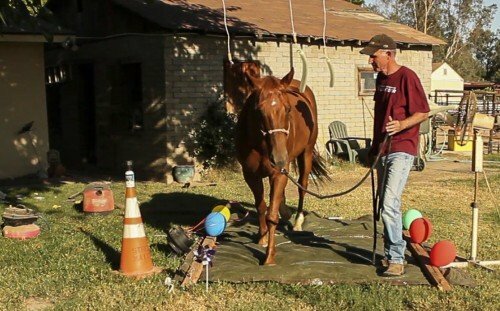 These five trainers put in a bunch of time to help these horses. They had received one older horse 3 to 4 months ago and they now had one to train in three 90 minute sessions. There was some prizes and prize money on the line. There was also some Vaquero pride. There will be extended interviews with the trainers, organizers, judges, and even one of the people who purchased a horse at the end of the event in an upcoming episode of The Whoa Podcast. Look for it soon. Jeremy and Brandie Dunn along with Diana and Steven Palmer did a wonderful job of organizing this event. Tehachapi is a wonderful venue. We look forward to seeing them next year. Are you riding your horse in a snaffle bit? Have you ever wondered how to transition into a bridle? Experienced trainers can make this transition easily. It takes a lot of timing and feel. In moving my horse Jessie from the snaffle bit, I’ve struggled with learning the right cues. The Whoa Podcast head out to find some professional help. We are hopeful this video will give you some ideas on making the transition. The No Worries Club, part of Downunder Horsemanship, holds contests from time to time. We like to participate when we can. The guidelines for this contest were to create an imaginative obstacle. Sometimes I think I get a little carried away. But when I hear the Challenge was to create an imaginative obstacle, my mind goes into this other gear. (You’re right, I think it is called lunacy). Anyway we accepted the challenge and here is our entry. He took a couple of hours to prepare everything and then we tried to video some of the construction process. It’s a new camera and editing software I’m learning. But, I think you will get the general idea. 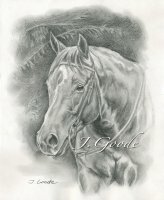 Jessie, my Foundation Quarter Horse Mare trained in the Method, is, as usual the star of the show. We realized right off the bat, to win a No Worries Club contest takes a big effort so, I fired up the drill press, dug out the shop vac and air compressor, rifled through old pvc parts to put everything together. This is that story…..
We had a cat repellent can with a motion detector that let off a high pitch sound and a spray mist. We had two fans, one with balloons, one with streamers. We had bailing twine with wine corks and balloons hanging from a tree. Oh, and we had a lawn spinner. And, of course a tarp. We had some noise makers I hooked up to the back of the vacuum cleaner. The sound of the noise makers scared the crap out of every dog in the neighborhood – How did Jessie do? See for yourself. We have a video. Below are some still photos of the obstacle, but because a still photo was not going to tell the whole story or convey the sound, we produced a short little video.